You can’t use profanity and – when someone calls you on it – say, “Well, God knows my heart.” Your heart is the place from which that profanity came. If you’re living with someone you’re not married to, the excuse that God knows your heart won’t cut it. 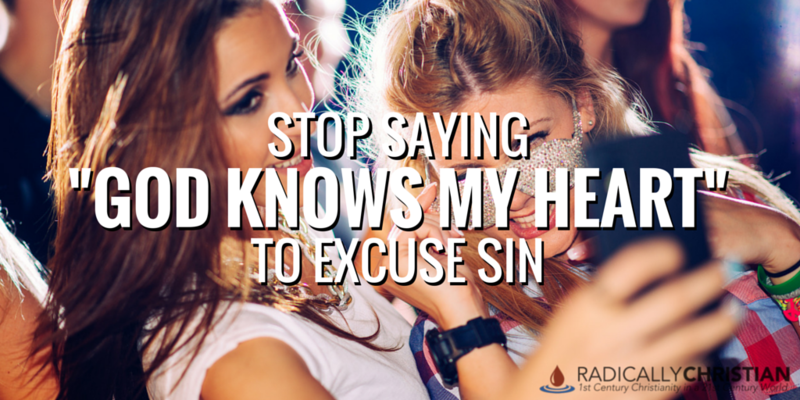 Your sexual immorality is the product of your unclean heart. 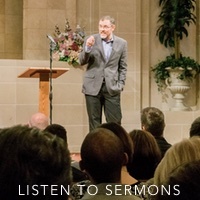 The realization that God knows our hearts should humble us to repent, not embolden us to sin. You can hide your heart from the world. You can appear righteous and godly to others, even if your heart is rotten to the core, but God knows the truth. He sees your heart. The Pharisees wanted people to believe they were righteous, when really they were evil. What they were was not evident to the people because the people couldn’t see their hearts, but God could. Jesus said they were like cups that were clean on the outside, but filthy on the inside (Matthew 23:25-26). He said they were like, “whitewashed tombs, which outwardly appear beautiful, but within are full of dead people’s bones and all uncleanness” (Matthew 23:27). Jesus could see what others could not. He could see their hearts. All of this should teach us that our heart is not better than our life, it is almost always worse. There are things lurking in the darkness of our hearts that have not yet manifested themselves outwardly. But God knows our dirty little secrets. He knows our greed, our lust, our selfishness, our pride, and our bitterness. He knows our life as well. He knows the things we’ve said, the people we’ve hurt, the places we’ve gone, and the good deeds we’ve failed to do. He knows all of it. Have mercy on me, O God, according to your steadfast love; according to your abundant mercy blot out my transgressions. Wash me thoroughly from my iniquity, and cleanse me from my sin…Create in me a clean heart, O God, and renew a right spirit within me. Cast me not away from your presence, and take not your Holy Spirit from me. Restore to me the joy of your salvation, and uphold me with a willing spirit” (Psalm 51:1-2,10-12). The realization that God knows my heart makes me realize what a wretch I am. It makes me so thankful for the blood of Jesus. It makes me look – not to my heart for justification – but to the cross for justification. I have sinned outwardly and I have sinned inwardly. The only hope I have is Jesus.